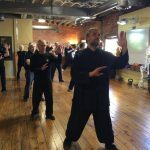 Are You Prepared to Go the Extra Mile to learn AUTHENTIC TAI CHI with Sifu Michael Paler of The Tai Chi Association of Colorado Springs? For a very long time, the Tai Chi Association has been planning to offer a FREE monthly community activity. We wondered what would be most beneficial for the community, and then Sifu Michael remembered that in his early days of training, he frequently used the technique of taking one single Tai Chi movement and repeating it over and over again. 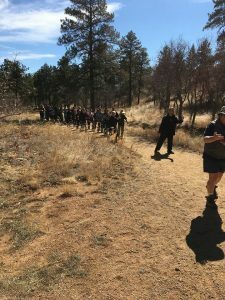 This idea got him thinking: Wouldn’t it be wonderful to offer this in-depth training to everyone, one step at a time.. Of course, we won’t need to go miles and miles like he did in the early days. In this electronic age, we can just move instantaneously with him…online..
HERE’S THE NEW PLAN: Every month we’ll meet up at a beautiful location, and Sifu Michael will instruct the group on how to do one easy Tai Chi movement, and we will all walk the mile doing that movement over and over again. By the end of that mile, you will all have one Tai Chi movement memorized, something you can take with you and do over and over again for your mental and physical well being. It’s our gift to you, Colorado Springs! You do NOT need to have any Tai Chi experience at all in order to join us, and everyone of all ages is welcome. This is a friendly, relaxed atmosphere where everyone will work at their own personal pace. All that we ask is that you quietly focus on the movement while breathing and relaxing — for just one mile. 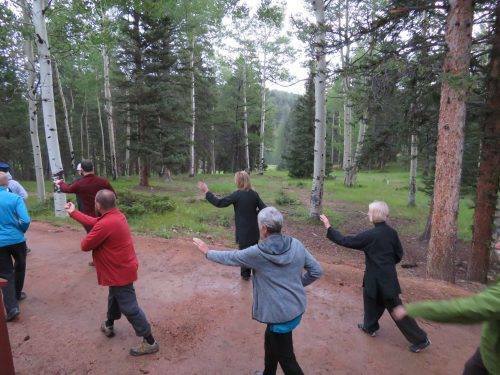 ALSO: We recommend starting your morning with our Tai Chi ancient warm-up exercise before the walk, and you are welcome to join us at the school for our beginner Tai Chi class before we go on our hike, or simply follow along with the video below. What should I wear? Loose comfortable clothing, whatever you would normally wear to hike in, and tennis or hiking shoes are best. What should I bring with me? coat, water, hat, and sunblock. Where will we meet-up? – On Saturday, DATE TBA, 2018 we will meetup at Red Rock Canyon Open Space in the parking lot. just look for the big group of people — that will be us! Always warm up before you hike! Temporary Schedule Changes For The Next Two Weeks!